A fun winter engagement shoot with Joe and Nicole at the Minneapolis Sculpture Garden. Orono High School Homecoming Coronation at half time of the the football game. Book Burning: Last Day of School! Kyle and friends burn their old workbooks and papers on the last day of school. We never did this when I was a kid, but it's a fun way to kick off summer vacation! I've had Aperture 3 for a couple weeks now, and I've been reading some great Aperture 3 blogs (such as http://photo.rwboyer.com/) and a lot of frustrated forum posts about the pain people are having converting their libraries from Aperture 2 to Aperture 3. After some painful experimentation I'm happy to report that I've found a simple solution that has be relatively pain free merging about 10 managed libraries with about 100,000 photos into one referenced library. The solution: DO NOT TRY TO UPGRADE YOUR EXISTING LIBRARIES!!! 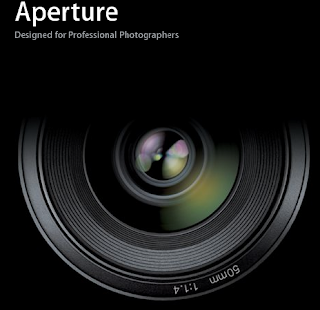 Instead create a new Aperture 3 library(s) and IMPORT your old library(s) into it. The key point here is that Aperture 3 can import from earlier library formats without upgrading them. So far this process has been almost problem free for me. My issues: The only issues I had with this process were with a couple of libraries that I had copied to a Linux NAS device. Apparently Aperture libraries do NOT like being stored on non-MacOS formatted drives (I knew this about external FAT USB drives, but I had mistakenly assumed that *nix XFS would be ok). Fortunately, I had alternate backups of these libaries on Mac formatted external drives (redundancy is your friend :-). I just sold the older (backup) of my two Nikon camera bodies on EBay, as well as my professional MiniDV video camera, and I just ordered a new Nikon D700. Never underestimate the power of American ingenuity! A portrait of Terry and Laurie (parents of the bride) in Terry's tool shed after the groom's dinner.